Our CloudPBX allows small and medium-sized businesses to adopt VoIP (Voice-over-IP) and enjoy a sophisticated telephone system without the investment in telephone equipment. In fact, the entire VoIP telephone system is operated and maintained by us at Cloud Solutions. We organise the connections required in each country to allow you to make local and long distance telephone calls. We ensure all phone numbers are registered and owned by you. All that is required from your side is an Internet connection and an IP phone. CloudPBX is a hosted and managed VoIP PBX thus allowing employees to work from their home, a hotel or on their mobile phone while still being connected to the same office telephone system. Furthermore, in Asia businesses are connecting their offices together on a single hosted PBX system. For example, Singapore and Hong Kong offices connected, or Singapore and their back office in JB or Philippines. Hong Kong, Shanghai and Tokyo can also be connected on a single CloudPBX server. A single server can have multiple connections to different telecom providers in various countries in Asia. 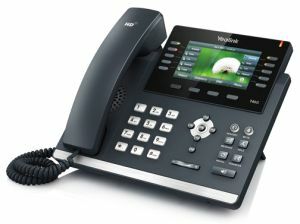 Modern IP phones or softphones (software) installed on your Windows or MAC PC can be supplied. Mobile phones are also supported where network performance is acceptable. Recommended brand is Yealink IP Phones however CloudPBX currently has clients using Polycom, SNOM, Fanvil, and Cisco brands. Besides the phones, there is no need for expensive on-premise hardware, our systems require less up-front capital dollars when compared to a traditional phone system. All that is required is an Internet or data connection. Unite all your workers, regardless of their physical location. Connect Multiple locations, Remote and Mobile workers into a single feature rich platform. Nothing matches Hosted PBX for companies with an outside salesforce, multiple locations, remote workers or work from home employees.